Here is the project management weekly roundup to bring about news, articles about project management and project management software to help project management professionals expose to newer trends, research, learning in project management, essential project communication principles and project management tool and so on. Right from the day one in the project, the most important activity project manager keep does till the end of the project (project closure) is project communication. What is the essential key to make project communication most efficient is KISS: Keeping it simple. Chris Ward highlights three essential project communication principles for project managers for today’s competitive, lean/ agile world. Be assertive, confident, but be yourself. Of all essential project communication principles, the importance of Keeping it Simple Stupid (KISS), holds true regardless of situation, audience. Read more here to make projects and/or presentations that much more insightful. Why can’t the scrum master and the project manager be the same person? This article is about agile project management. I came across an interesting discussion/Q&A forum at PMStackExchange. The question was -Why can’t the scrum master and the project manager be the same person? The underlying question was how different is scrum master from traditional project manager and in turn are there overlapping responsibility with project sponsor/project owner role. 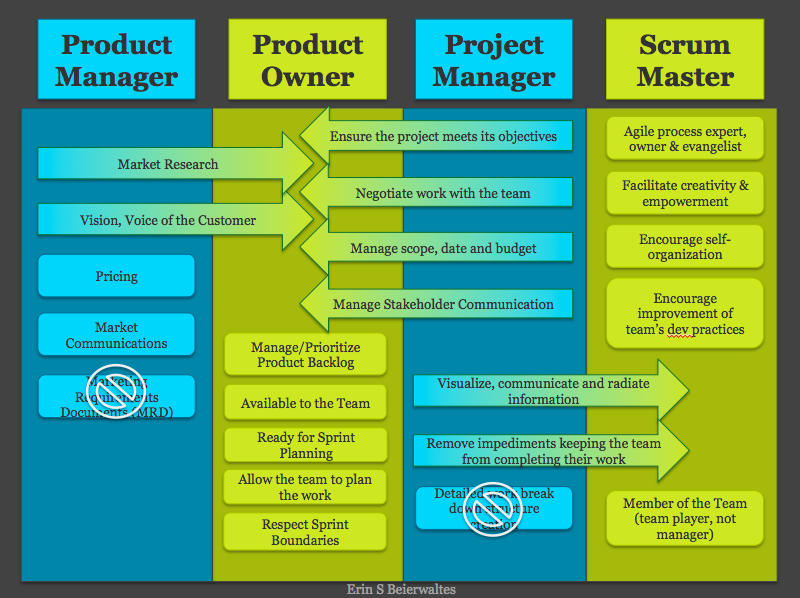 I can’t resist but to share the insightful visual of difference between scrum master and project manager. Source: Question & Answer at PMStackExchange. Though participants/commentators seems to agree that the role difference is about WHAT should a project team be working on vs HOW they should be doing it. Of course there are difference of opinion whether same person should be interacting with business, executives as a project owner and same person should be delegating project activities to team and tracking those. Read more in scrum master vs project manager debate. A research article that highlights new perspective about how project management has evolved/developed. The research is based on the natural science theory of genotyping and phenotyping and it compares various project management research and builds a contemporary comparison model by comparing genomics to investigate project management as social sciences process. This article provides examples of project management derived/based on the comparative model also highlights kind of research questions such that the comparative model provide insight. The researcher believes that such comparative model will bring out new aspects of project management can be exhibited by project management professionals as well as project management researcher. Note: You will need access to read the research article New Insights into Project Management Research: A Natural Sciences Comparative. Have something to add, do let us know.